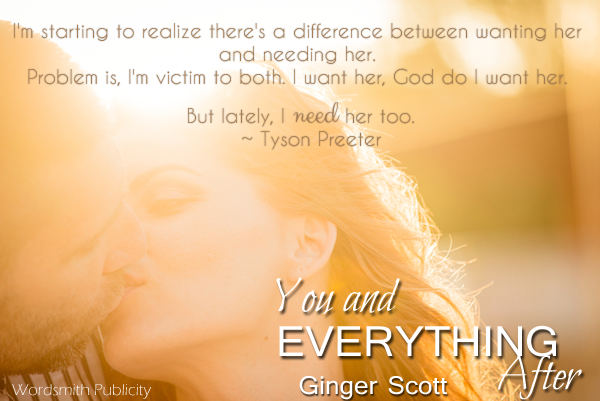 We're celebrating the release of You and Everything After by Ginger Scott! *This is book 2 in The Falling Series. Both Ty and Cass have lived with adversity, but I felt that Ty was a really positive influence for Cass. Talk about how their challenges influence or impact their relationship. There’s a lot to be said about finding that one person in life who just “gets” you. Ty, he gets Cass. What Ty has had that Cass hasn’t is a support system rooting for him to succeed despite his limitations. He’s had people believing in him his entire life, not seeing him for his disability. Cass’s family loves her deeply, but to the point that they suffocate her spirit. Unlike Ty’s circle, Cass’s family wants her to play it safe. They love her in their own way, but they let their worries and fears dictate everything she does. Ty is sort of like a meteor when he hits—unexpected, but bright. He’s this light that Cass can’t ignore, and she just has to follow. And then he shows her the stars. There’s a line in the book, after Ty kisses Cass—she says his kiss was like removing a blindfold. He believes in her in a way nobody ever has. Makes it pretty easy to fall. I have been a HUGE fan of Ginger Scott since “Waiting on the Sidelines”. I was really drawn to how developed her characters and stories were. The premise of her novels always have this astounding ability to capture real life and real stories. 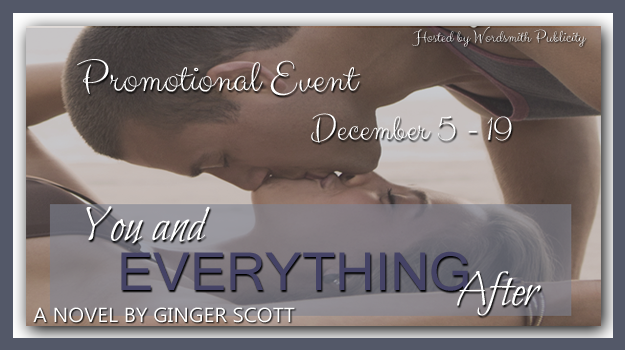 Scott does not shy away from complicated topics choosing instead to fully embrace them. I will say she writes EMOTIONAL stories. You will be moved by the words on the page and you will cry but you will also laugh. There is a balance to her writing that I am in awe of. It’s a rare talent to fully capture and weave stories like these. One of the many things I love about Scott's stories and what I especially enjoyed about this novel was that Cass and Ty did not have insta-love, there was of course an attraction to each other but that was only the stepping stone to their friendship and relationship. Oh man, this book made me laugh, the back and forth between them is hilarious. I just really liked Ty and Cass as people, I felt a real connection with them and thought their were both such good hearted people, real people. People you could know and admire and like to hang out with. Like I have been regurgitating over and over Scott can bring characters to life. It's by far my favourite thing about her writing. Her ability to create and develop characters. We see this in her main characters but also in the way we are drawn to the secondary characters in her novels. This story will make your heart ache, I guarantee that. 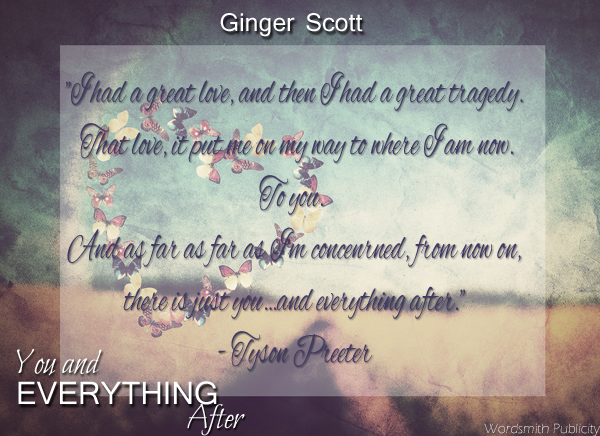 I cried and I usually cry in all Scott novels at some point. What can I say, I love a good cry. It's not just that there are sad topics or challenges in the novels it's the way she crafts around those topics that really pull at my heart strings. 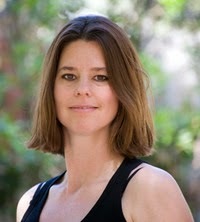 However, like all of her novels YA/NA she brings balance. Scott's novels are full of every aspect of life. Sadness, hope, love, friendship, it's all there balanced perfectly in a book you will come to love.